About a month ago it was my birthday and I was very very spoilt! 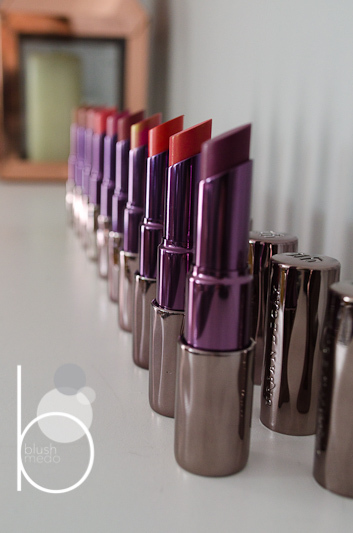 I’m going to show you the most beautiful lipstick collection I have ever seen! 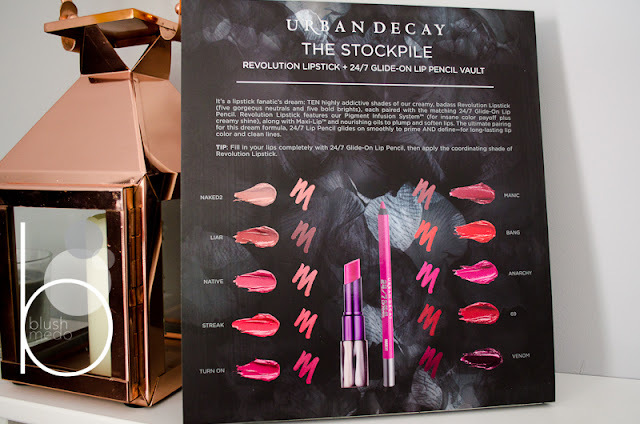 I give to you Urban Decay-The Stockpile. In this collection you get 10 lipsticks and their corresponding lip liners (which I have really gotten into lately). I do believe they have previously released this exact collection, but I don’t think they have ‘aged’ at all as the choice of colours is so diverse, that no matter what is in fashion there will always be something for everyone. In all of the swatch photo’s, I am wearing both the liner and lipstick so I could give the full effect and the true colour. 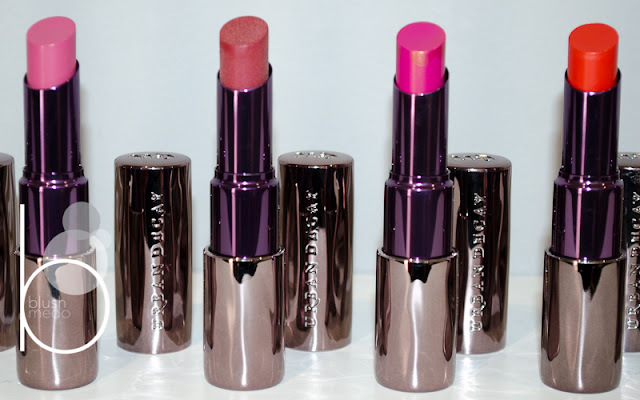 I think it only really made a difference with a few of the shades, as the lipsticks themselves are very opaque anyway and would only make a difference to the longevity. Don’t you hate it when your at a makeup counter and they’ve put the most beautiful shade on, only for you to find that when you’ve got home the colour isn’t quite the same without/with the lip liner. Now, some of you may feel that lip liners are a thing of the 90’s… But I can assure you that they are no longer classed as retro! They have come back with vengeance and are almost ‘cool’. Or it could just be another marketing tool to get you to buy something you don’t really need…. The nudes and streak are all wearable shades, apart from Native which is a little light for me and also seems to be the one that doesn’t apply as well as the other 3. Its a tad streaky and no matter how many coats you put on, it just doesn’t sit right. ‘The pinks’ are all amazing and are opaque in just one swipe. As with above I am wearing the corresponding lip liner just to give it that extra oomph! Two of the colours in this category are probably my favourites of the whole collection. I’m a massive fan of a bright blue tones pink and I also really love a midtown pink, which is a go with anything kinda lippie. Just looking at the pictures of these makes me all gooey inside… I love, love, love these!! Bang is a very bright orangey-red, which I would have to be having a good lip day because this does definitely draw attention to them. I actually wore 69 last Saturday and had more compliments than I’ve had on a lipstick for a very long time. I would be careful though, as it’s not one of those go out to dinner lipsticks without it being smeared all over your mush! (Or is it just me?..) As for venom, I do love it.. But I don’t think I would be brave enough to wear this out. 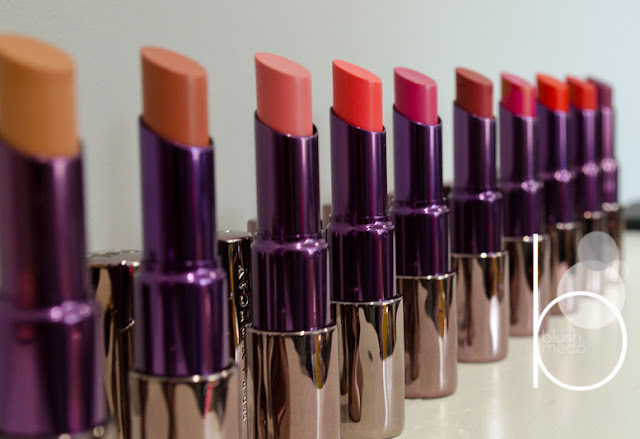 The formulation of these lipsticks is very consistent throughout the whole collection, as with all Urban Decay lipsticks they contain shea butter, so are very moisturising, pigmented and long lasting on the lips. They didn’t dry out at all, but a couple of them did become a bit flaky towards the end of the day. The Stockpile by Urban Decay is limited edition available exclusively at Selfridges link here. 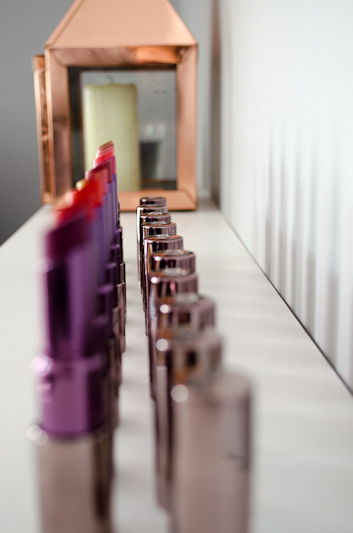 I’ve just had a peek at the website and they are still in stock, but obviously being limited edition, who knows when they will run out… If you love lipsticks as much as I do I would definitely recommend having a look at the revolution lipsticks. There are 20 shades in total and if you don’t fancy a full on lipstick day, they do a range of 10 sheer lipsticks. They are both available from urban decay here. 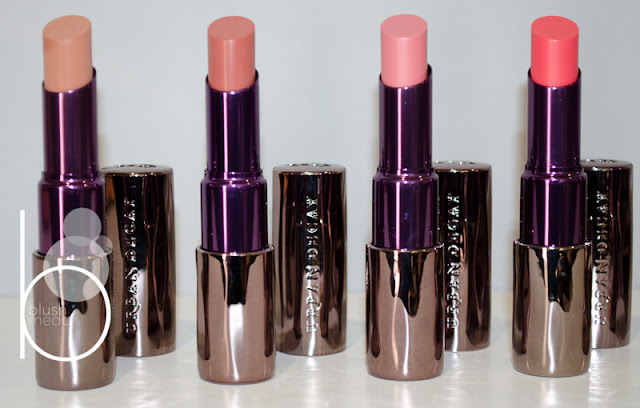 What do you think of the Urban Decay lipsticks? Let me know in the comments. Thank you for reading and I hope you enjoyed this blog.